If you’ve been coming to Highline for awhile, you know that one of the things that make us stand out is our employees. We are fortunate to have some of the best people working for us. 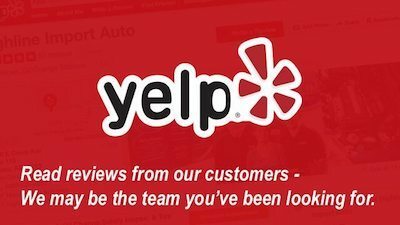 We enjoy sharing about each staff member with you, the customer. Today we highlighting Jon Coahran’s story for you. FYI, Jon is a superstar… if you ever get the chance to talk with him, you’ll see what we mean… great guy. Since the age of 15, cars have been everything to Jon Coahran. If it has an engine – automobiles, motorcycles, lawnmowers, go carts – Jon has probably worked on it. You could say that cars are what ‘drives’ Jon’s passion. Definitely a great trait for a mechanic, wouldn’t you agree? Jon was born in Pullman, Washington, a border town between Washington and Idaho. Raised in Moscow (a city in Washington, not the country), it’s where Jon began his love affair with cars and mechanics. It was also where he meet his high school sweetheart. We’re pleased to share his high school sweetheart, Hillary, is now his wife. Although Jon’s first job was at Taco Time running the fryers, it didn’t take long for him to realize that he was meant to be working with cars. At first it was working with dirt bikes and fixing small engines for neighbors. At age 15 when Jon got his license and needed a vehicle, his appreciation of caring for cars grew. This is when his love for cars began. Jon worked at Taco Time for only three months. He worked at a grain and feed store for a year before he got into the auto industry. At the age of 18, Jon started at Goodyear Tires; before you knew it (six months to be exact), he got his first opportunity to work on cars. By this time, Jon had plenty of experience working on his family and friend’s cars, but this was the first time he was actually getting paid for it. Some of the first jobs he remembers include putting a clutch in a Volkswagen GTI and engine cylinder heads in a Ford Expedition. With his first mechanic job, and every job since, Jon doesn’t lollygag, he gets straight to business. That’s Jon for you, always ready to work. After Hillary finished pharmacy school, they moved to Boise, Idaho. After four years of living in Boise, another move was about to happen, this time to Arizona. Since Hillary found a new job in AZ, it was time for Jon to search for a new job. As luck would have it, Highline was in need of a mechanic. Two months after applying, Jon was Highline’s new employee. In fact, they waited two months for Jon to move to Arizona. In June 2014, they packed up everything; their new life in Arizona was about to begin. The beauty of working with cars is that there are so many cars and every car is different. Although he has worked with cars for many years, the learning never ends – that’s what keeps Jon motivated. Every mechanic enjoys different parts of their job. For Jon, it’s the heavier line of mechanic work like head gaskets, engines or transmissions. Some mechanics may be apprehensive of rebuilding an engine because there is a lot of time and work involved. For Jon, bringing it all together and making it work is extremely satisfying, regardless of the amount of work needed. It’s all about looking at the problem and finding a solution, being creative when creativity is needed. Once, Jon was working on a ‘76 Jaguar that needed a new transmission. The problem is that it’s hard to find parts for an old Jaguar. Jon’s solution? Put an ‘86 Chevrolet transmission in it. Now that’s being creative. So what does Jon like to do in his spare time? It’s no surprise that it involves something with an engine. For fun, Jon spends a lot of time rock crawling with his Tube Chassis Rock Crawler. If he is not driving over big rocks, you can find him riding his Harley on his way to Sycamore or down in Florence by the river. And if that isn’t enough, Jon has been spending the last few months restoring a 1980 Datsun 280ZX for his parents. It’s been almost two years since Jon joined the Highline team. When you ask him what he enjoys the most, his answer is the people. Cars and engines are dear to his heart but when you have a job that allows you do what you love and in your own unique way, then you know you have something special. 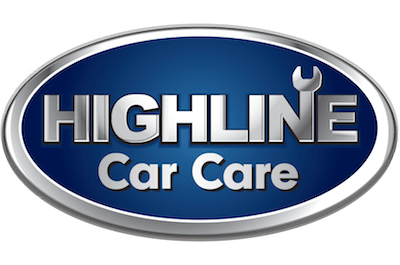 At Highline, everyone has their own way of doing things, at the same time everyone has the same goal in mind, to have your car running in tip top shape. A perfect example is how well Charlie and Jon work together. They both believe that some cars need some things more than others and they prioritize from what is most needed to least needed. A pretty smart way of doing things. Working at Highline keeps Jon challenged with many things. He knows his job is to figure out what the car needs and he doesn’t stop until a solution is found. And that’s exactly how Jon likes to work.